Offering a visitor a cup of tea has long been a way to show respect in China. Tea is a staple at family gatherings and can be offered as a symbol of an apology or as a way to say "thank you." All teas come from an evergreen plant called Camilla sinensis. The plant grows in mountainous areas of China and other countries. How the tea leaves are processed after harvesting determines the distinctive varieties - black, oolong, green, and white. The preparation of teas may differ depending on the occasion and the type of tea. The process of brewing tea is typically done with great care and ceremony, particularly for special guests. Drinking tea is a way of slowing down, taking time, and relaxing. The act can be elegant and divine, a way of allowing the concerns of the day to fall away. The drinker should be able to judge the quality of the tea by its flavor, fragrance, and color. Even the tea set, which may be as modest or as extravagant as means provides, plays a role in the drinking process. Customs vary throughout China and the world, and the meanings people associate with drinking tea have changed over time. In addition, traditional Chinese medicine practitioners have used tea through the years as remedies for a variety of health concerns. 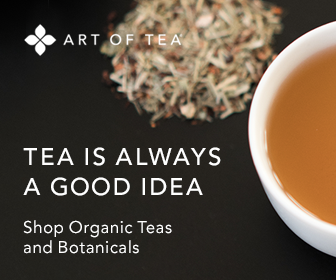 Tea leaves have essential plant oils and polyphenols, which have anti-oxidant properties. For more about the health benefits of tea, click here. As tea became a major part of life in China, the drink became the subject of poems, stories, and other literature. As China began to trade with other countries, the custom of drinking tea spread. The Dutch were among the first to bring tea to Europe, doing so in the early 1600s. Tea soon became an important commodity. However, Chinese tea culture, which emphasized the divinity and spiritual nature of a cup of tea, did not necessarily spread along with the product. The tea trade was so important that governments made special considerations for companies trading in tea. One of the best known of these occurred in 1773, when the British Parliament favored the East India Company. This action eventually lead to what today is known as the Boston Tea Party and the beginning of the American Revolution.